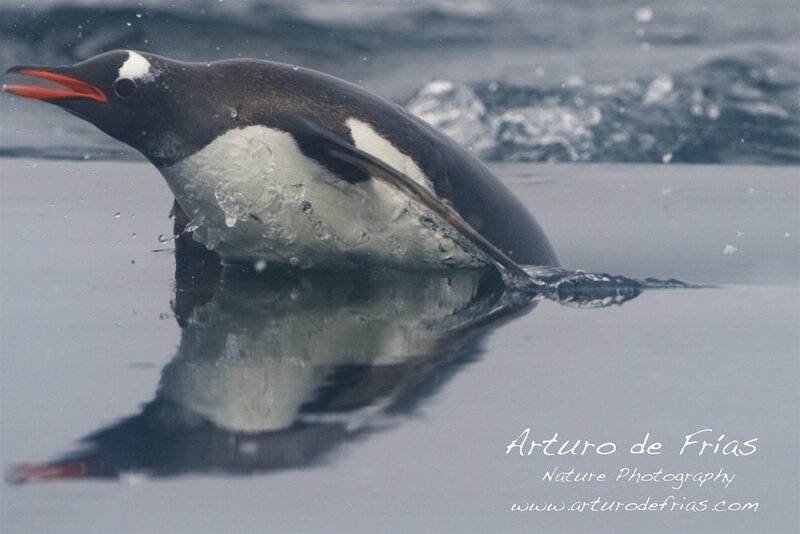 Closeup of Gentoo jumping out of the water, a behaviour called porpoising. Porpoising helps penguins to swim faster, with less energy consumption. Primer plano de Pingüino Papua saltando fuera del agua.